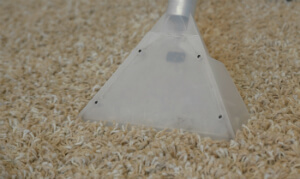 Want to know how much it will cost to get your carpet deep cleaned by experts? Get a free and non-binding quote today. Call 020 3746 1366 or use the online contact form on our website. We are alway here for you to respond to your questions! We use the most efficient carpet cleaning methods to ensure that your rugs or carpets are properly sanitised, all residues and dirt is gone and the dust mites are eliminated, while at the same time - the carpet remains safe and undamaged. Every carpet cleaning procedure begins with an examination, testing of the detergents and hoovering. Only then our professional carpet cleaner will proceed to deep clean the carpet. When steam carpet cleaning is performed, the cleaners use a professional hot water extraction cleaning machine. This method is good for resilient materials. For more delicate materials, we offer dry carpet cleaning in Mount Pleasant. Our cleaners use special tools to apply special dry cleaning powder in the fibres of the carpet. The dry cleaning solution is left to stay there for some time and then it is removed with a powerful vacuum cleaner. Together with it, any dust or residues are taken out. Our deep carpet cleaning is suitable for both natural and synthetic carpet fibres. We provide the people and business owners situated in Mount Pleasant WC1 with the highest quality deep carpet cleaning in the area. Ashlee House Cleaning has been offering professional steam carpet cleaning and dry foam carpet cleaning for over a 10 years. All of our cleaners are hand-picked after personal recommendations. They are police background checked, trained and experienced in using our modern professional carpet cleaning equipment, solutions and tools. Our prices are fixed and affordable. We will not charge you extra invisible fees. We can clean any type of , and offer carpet spot and stain removal of various stains, such as: paint, rust, oily stains, blood, wine, tea, coffee, vomit and can repair moth damage on your rug or carpet. We can provide one off or regular cleaning for properties as well. Since we initially started delivering a carpet cleaning service to all people and businesses in the area, we have been constantly working on enhancing our performance in order to reach our goal of having 100% satisfied clients. We carefully hand pick all our carpet cleaners in Mount Pleasant WC1, check their background and after that train them meticulously. Ashlee House Cleaning is the preferred professional cleaning services provider around because we use only top-notch and secure cleaning equipment, and environmentally friendly detergents for spot removal, deep cleaning and fibre protection. We can get all types of carpeting cleaned efficiently and at a very fixed, affordable price. Call 020 3746 1366 or send an online request via our contact form here to arrange time and date for our services provided by our carpet cleaning experts in Mount Pleasant WC1. Your request will be received and processed in no time and you will receive a confirmation for the reservation. We have budget-friendly prices and we clean also on bank holidays and weekends. If you book more than one of our services at the same time, you will not only save time but you will save money because we will give you discount off the price. No deposit is needed for booking for any of our services.